Washington (CNN) – With Pope Benedict XVI announcing his resignation on Monday, the leaders of the Catholic Church will soon meet to select the next person to lead the ever-changing church. While it is likely that they will pick another voting member of the College of Cardinals - the 118 Catholic leaders younger than 80 will vote on who should lead the church - the standards for who can become pope are remarkably loose. Any baptized man in good standing could be elected pope, according to canon law, a group of laws that guide the Catholic hierarchy. Women cannot be named pope because they are unable to become ordained priests in Catholicism. So if the only standard is a baptized man in good standing with the church, there are millions of possible papal successors – including Speaker of the House John Boehner, rock star Bono and, yes, comedian Stephen Colbert. The likelihood of that happening: not a chance. More likely selections, with admittedly less star power, run the gamut. One name on the top of many lists is Cardinal Marc Ouellet, the former archbishop of Quebec and the head of the Catholic bishops worldwide. Some Catholics are angling for more Latin American representation in church leadership, and Ouellet taught school in Bogota, Colombia, early in his career. “He has a credibility that can reach all corners of the church,” Reid said. Other names include Peter Turkson, a cardinal from Ghana who would show the church is aiming to increase outreach to Africa, and Angelo Scola, the archbishop of Milan and a more traditional pick. Though canon law doesn’t spell out the explicit qualifications that a pope needs, there are laws that do outline how the College of Cardinals could select someone who isn’t a bishop or a cardinal. In that case, the man selected pope would first have to be consecrated as a bishop before he was made pope. According to Reid, the existence of these laws proves that if the Catholic leaders wanted to, they could select any Catholic male. That, however, is extremely rare. The last time a noncardinal was elected pope was when Urban VI was elected to lead the church in 1379. Rev. James Martin, a Jesuit priest and author, said while the standards are relatively low, the pope’s job requires someone with a combination of skills. 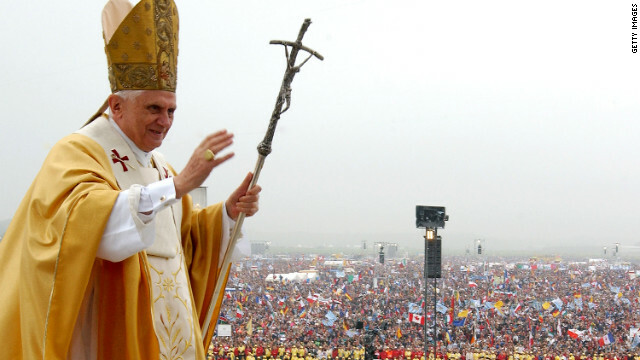 In 1996, Pope Benedict’s predecessor, Pope John Paul II, issued a decree with 92 guidelines for selecting a new pope. The rules outline everything from the size of the paper on which the cardinals can vote to where the election of the new pope should take place. Really lmao first one out of how many chad/Bill Deacon ? Hey Bill the chain ?